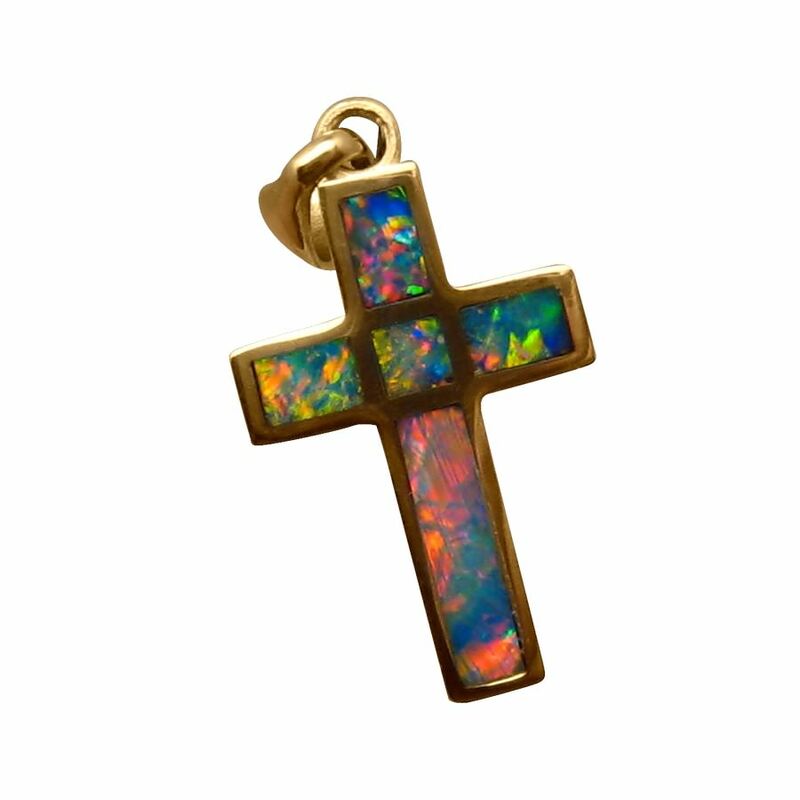 An Opal cross pendant in 14k Gold with a mix of vibrant and colorful Opals. 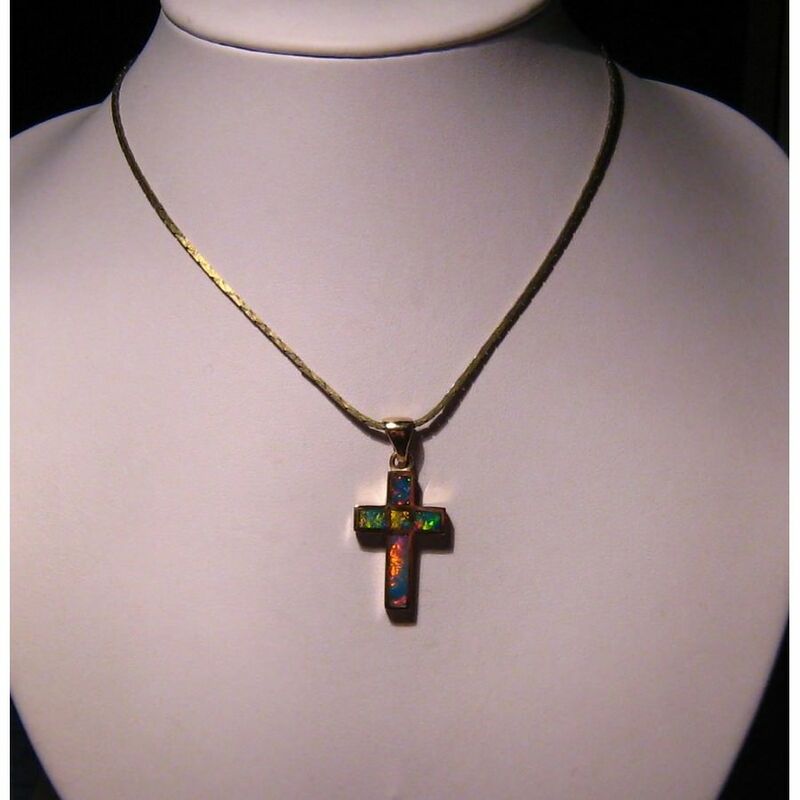 A big, bright and colorful pendant that is inlaid with precision. 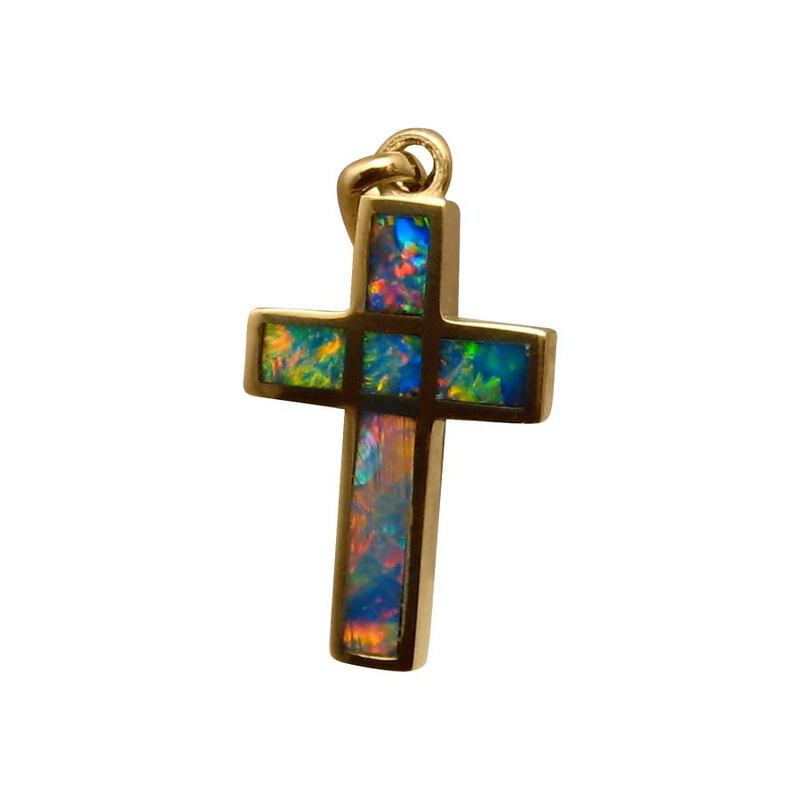 The 14k Yellow Gold cross pendant is inlaid with five gem grade Lightning Ridge Opals that display a mix of extremely bright colors, mainly Red and Blue. 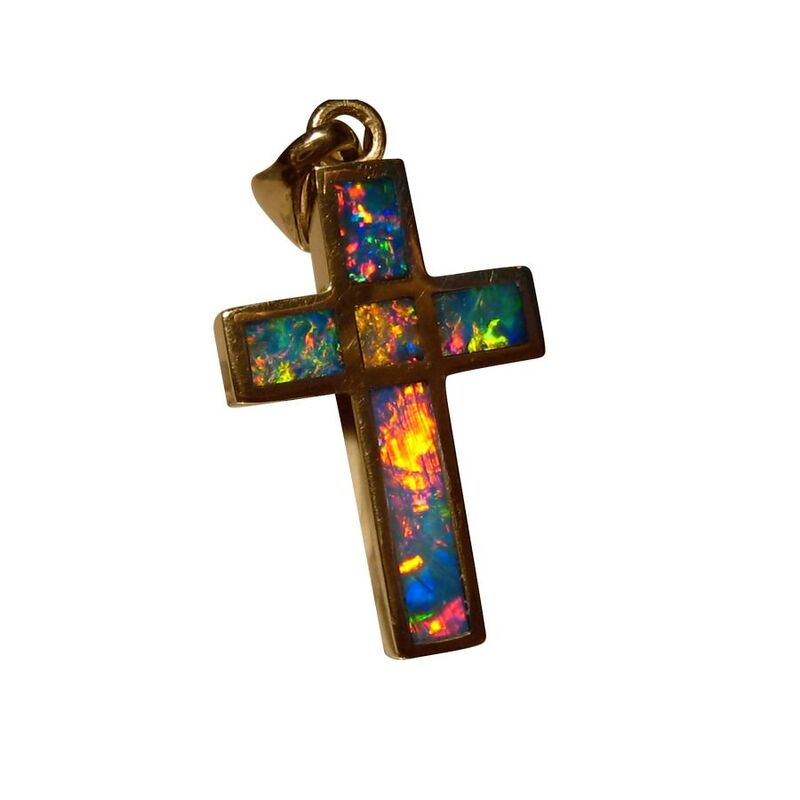 It is a large cross measuring over 1 1/4 inches from top to bottom and with the vibrant Opals, this pendant will be noticed when worn. Photos are taken on zoom which show blemishes that are not visible to the naked eye. 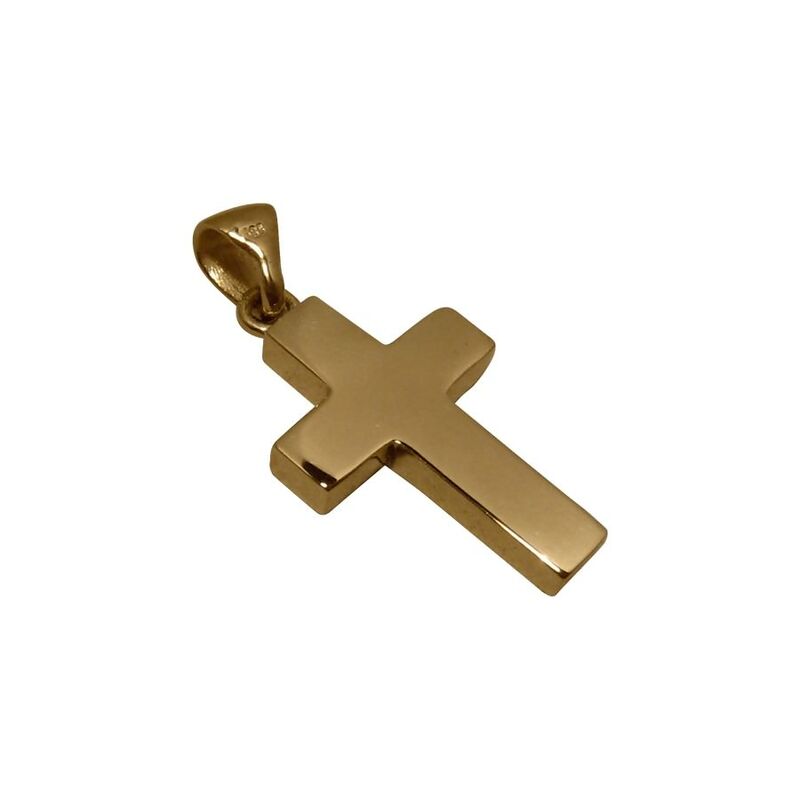 The pendant in the images has been sold but one can be Made to Order in your choice of Gold color which will take about 10 days to make before images are provided for your approval to ship. Beautiful piece. Fast delivery. Will definitely return.